Get a taste of New Zealand’s farming lifestyle at Walter Peak High Country Farm. 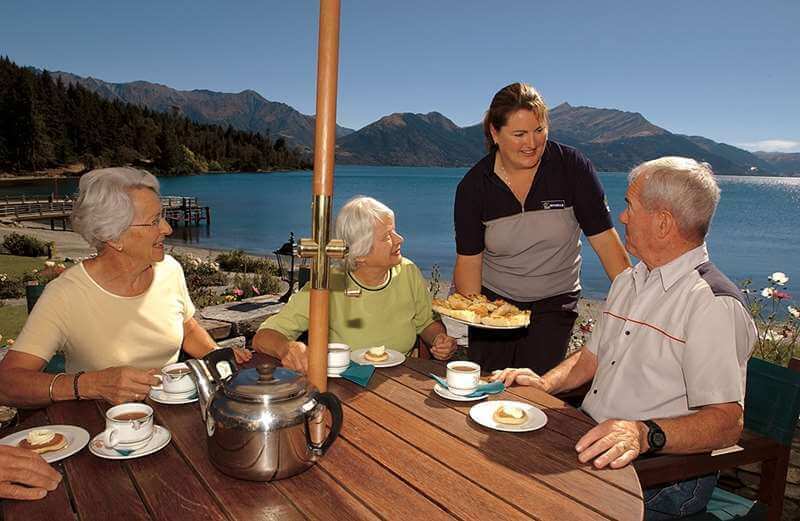 Situated on picturesque Lake Wakatipu’s south-western shores, the farm is the perfect place to spend a relaxing few hours. 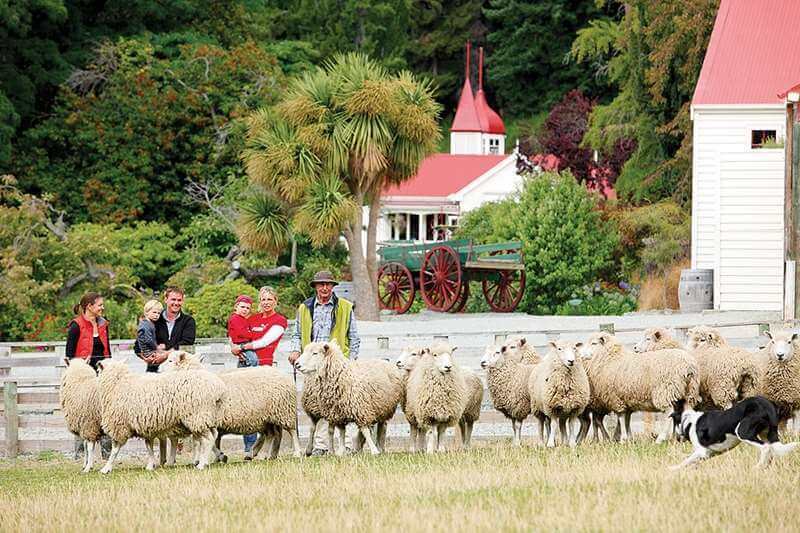 Following a TSS Earnslaw cruise, disembark at Walter Peak station where a rural host will meet you and take you for a walking tour of the farmyard. The first stop is the holding pens, where you can help feed the sheep and deer, and even get up close to the Scottish Highland Cattle. 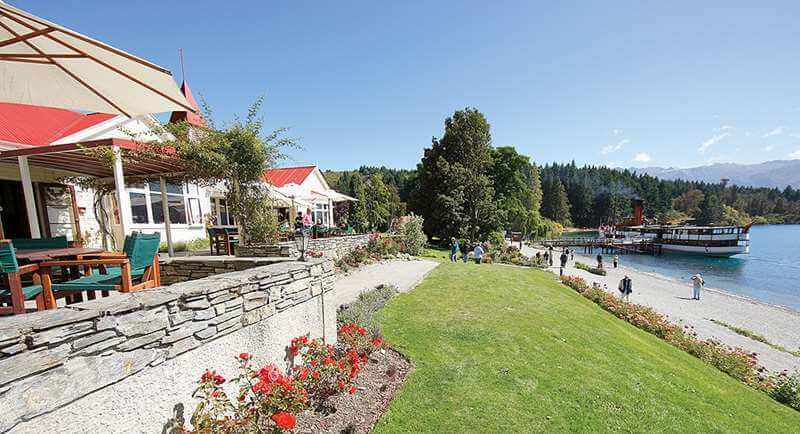 Then stroll through the lakeside gardens to the charming Colonel’s Homestead for a barbecue lunch. Afterwards the farmer will lead you over to the shearing shed where you can watch the farm dogs rounding up sheep from the hill paddocks, and see the farmer shear a sheep. You will then board the TSS Earnslaw for your cruise back to Queenstown. 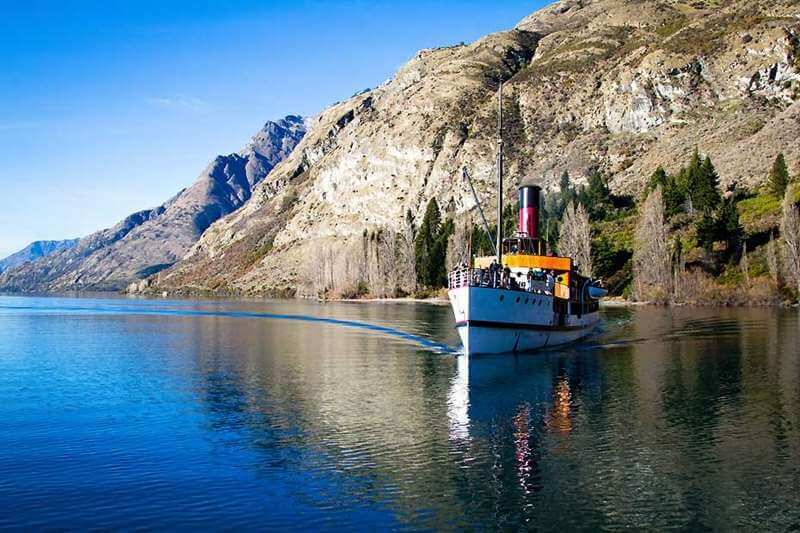 The TSS Earnslaw is an integral part of Queenstown’s pioneering history and to this day a Queenstown icon. She was commissioned by New Zealand Railways to service the communities around Lake Wakatipu. Launched in the same year as the Titanic, the TSS Earnslaw’s maiden voyage was on 18 October 1912. 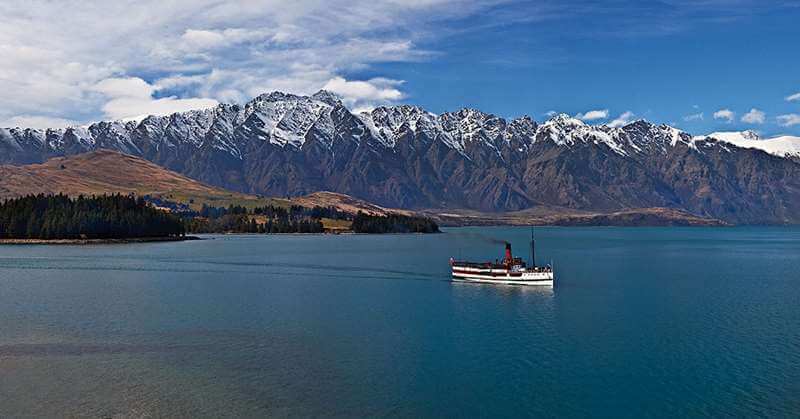 Today the TSS Earnslaw takes is host to guests enjoying a Walter Peak cruise in New Zealand. TSS Earnslaw provided an essential link between the isolated farming communities along the lake and the outside world. At 48 metres long, she was the biggest boat on the Lake and carried passengers, sheep, cattle, mail and supplies. Nearly scrapped in 1968, she was rescued and purchased by Real Journeys and put to work once again carrying passengers around the Lake. Since then the TSS Earnslaw has been painstakingly restored to its original condition – everything you see is pretty much like it was a 100 years ago. Today, the TSS Earnslaw is the only coal fired steamship in operation in the southern hemisphere, making her one of the most unique experiences in the world.